Topic: Non-Classical Music Listening Thread! 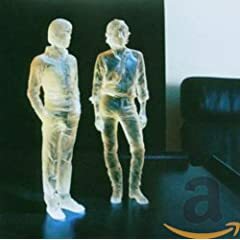 Believe that we need to start this thread in the Diner on the 'new' GMG Forum for our non-classical listening posts - here is the LINK to the same thread on the 'old' forum - for those just joining us, the old thread contains 179 pages w/ many posts discussing & recommending all different types of non-classical music - take a look, if interested. Re: Non-Classical Music Listening Thread! Oops, I forgot to mention - the first 'streaming' of this channel online included some fiddling by Benton Flippen, a legend from the area - he is now 86 y/o (pic below of how he now looks); but if you want to hear what this music is about, pick up the excellent Rounder disc - these are recordings from 1949 to 1993, done in North Carolina, including several in my home town of Winston-Salem (just 45 mins south on HW 52 - beautiful view of Pilot Mtn! ); BTW, the front picture on this CD is from about 1950; he first appeared on WPAQ in 1948. 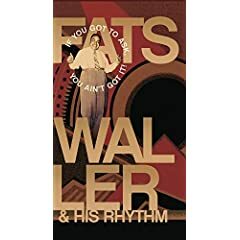 Thomas 'Fats' Waller (1904-1943) - jazz pianist, composer, & comedic entertainer - just received the 3-CD box set in the mail (previously, had only a 1-CD overview compilation - plenty of these are available & good way to be introduced to Fats); the box set - first CD: his own compositions & performances; second CD: instrumental works; and third CD: performances of others - click on the image for track listings & reviews of the set, which is quite 'cheap' on Amazon (got my set from BMG Music Club); the booklet is long w/ plenty of pics & superb. Second image of him w/ the beautiful Lena Horne from Stormy Weather, not a great movie, but the entertainment is wonderful, including that of Fats! If you are unware of this great American personality, then an introduction is needed quickly - give him a try & report back! Romeo Void: Instincts - One of my favorite "new wave" bands (that term sounds almost quaint) from the 1980s, based in San Francisco. The CD release from 2003 has a bonus track, "In the Dark." 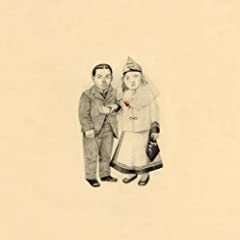 The Crane Wife, by The Decemberists, a truly quirky independent rock band whose lyrics are based on as diverse topics as pirates and Japanese traditional tales. Their "Shankhill Butchers" is a beautiful, haunting song about serial killers in Ireland in the mid 1970's. Believe it or not. Neko Case's live set from Austin City Limits. 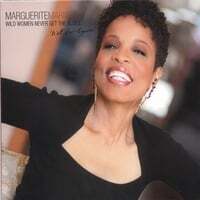 Marguerite Mariama: Wild Women Never Get the Blues - Multi-talented (she has a Ph.D. in Performance Education) and with a big, sultry voice. Her bio is here. Just a bit ago, the sound of the baseball popping my son's mit in a game of catch with him. Life does not get better than this. Reading that gave a nice, warm feeling. Manzanera, "Leyenda" / "Frontera '91" / "Southern Cross" / "Sphinx"
Yeah, I'm the same way I like to know the music pretty well before I hear it. and If I seem a little strange....well that's because I am.